No, you’re not reading this wrong and I didn’t make a mistake either. Longines really introduced a tribute watch for pilots called ‘Avigation’. Now this could strike you as a weird word or a fault during the briefing at the Longines HQ, but I can assure you that’s not the case. Avigation is a simple combination of the words ‘Avis’ (which means ‘bird’) and ‘Navigation’ – which obviously means TomTom. Longines started using this particular model specification back in 2012 when they introduced the ‘not’ 1935 version – or as you wish – normal version. Anyhow, a pilot is constantly ‘avigating’ when up in the air, so that’s why they chose the name. Not weird at all. Of course we all know the Avigation Watch Type A-7 from the model introduced back in 2012 as a ‘homage’ to the original pilot watches created around the 30s. Where the 2012 version of the A-7 was rather standard and everyday-looking – in terms of indexes and colour scheme – the Avigation Watch Type A-7 1935 is bit more vintage aspired. In the early 20th century, Longines was often associated with pilots who made history through their extraordinary movements. Giving very high standards for their chronographs, the American army ordered a lot of these Type A-7 watches from Longines since 1935. Making it a watch of high quality. This new reinterpretation is a tribute to the sturdy timepieces from those days. 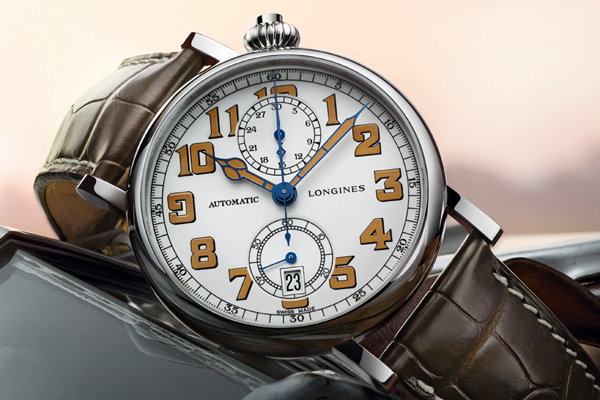 As well as the 2012 Type A-7 watch from Longines, this 1935 edition also has an offset dial. Both watches feature a dial turned 40 degrees clockwise; the purpose of this modification is that a pilot would not have to turn its head to read the time, whilst wearing this watch on the inside of his wrist. Very practical, but not a widely appreciated change by customers. 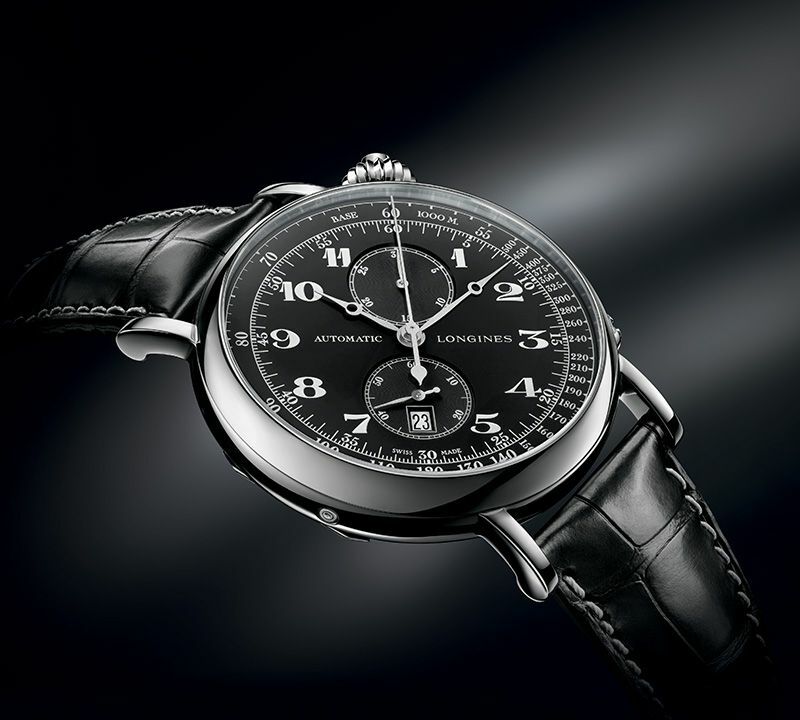 This way of dial placement isn’t uncommon, Vacheron Constantin does this too with their American 1921 model. However, public opinion stated that – although these kind of designs look very art deco – it is not very sought after by collectors or other consumers. Then there’s me, I like everything that’s not standard, so yes I’m a fan of these kind of designs. Don’t care about what others think. No kidding, if we think alike, I care. As far as optical differences, we see a change in look and feel. The version we know from 2012 looks very classy, Arabic numerals with a very slim design; the new 1935 version – strange saying isn’t it? – has buff looking Arabic numerals. Most surprising thing of all? At a glance, you would think Longines borrowed ‘vintage-looking’ lume from other brands, because that’s what you want when creating a homage or tribute piece inspired by oldies. However, that’s not the case at all! I know right, it took me a little time too, realizing there’s a brand that steps outside of the vintage-looking lume comfort zone and trying something different. Well, what is it that gives the numerals that distinguished colour then? Honey colour. Yes, honey colour. Take that! It matches very well with the white dial and the blued steel hands though. In terms of vintage they achieved a great look. I can’t say anything else about it, because my beloved colleague Kees hates ‘new vintage’ and I would like to keep the collaboration with him alive after this article. As far as the movement goes, it is the same ETA based Calibre L788.2 as we know from the ‘normal’ Type A-7 Longines. However, the biggest difference is the size. As the original version was 49mm in diameter, this new 1935 edition measures 41mm. A great decision if you ask me. There’s no need for Longines to compete with the new Nautilus and besides that, reading time on a 41mm diameter watch with honey-coloured numerals is a piece of cake. Believe me. It carries a 54-hour power reserve and serves a monopusher function. Meaning the chronograph is activated with one pusher instead of the traditional two. The watch features a brown alligator leather strap with buckle and is water resistant up to 30 meters. That’s not much I know, but then again, I hope you know how to fly a plane. Planes are made for flying, not diving. Then again, if you would take a dive with your plane, a water resistant watch won’t save your life. Your welcome, I’m optimistic as always. As said, I would buy this watch only for the offset dial fact. Besides that, I like old school designs. If inspired by old models or historic events, I couldn’t care less. I have to admit though, I share Kees’ opinion about the fact that these watches aren’t vintage in any way. They are newer than new. So that whole way of creating new ideas should be left alone. We’ve had that trend for long enough now, if it happens anyway give it a different name. For instance ‘the lack of inspiration collection’ or ‘we do something new with something old and we know that’s weird’. To make something very clear: no this message is not meant for Longines (with message I mean the last four sentences before this one). Anyhow, overall, I like the watches. I love the fact that old design details are dust off and used for new machines. Not everything hyper new is better, this looks very awesome and very masculine. I would wear it, with love and it would remind me of the fact that some things were really cool back in the days. I guess you should see it like a good war movie or a very detailed book of the early 20th century – it’s not a time machine to bring you back to the past, but it tries its very best to give you the feeling of those days. End of story. 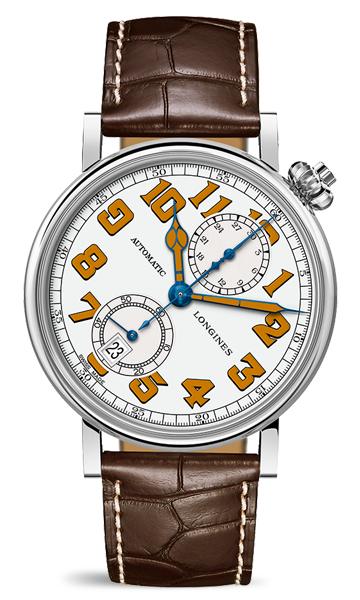 I salute you Longines Avigation Watch Type A-7 1935 – or Cpt. History in short.